Celebrating 13 Years of Bringing Together People and Pups! This is what HAPPY looks like!!! To see more pictures of folks on puppy pick up day go to my BLOG page! 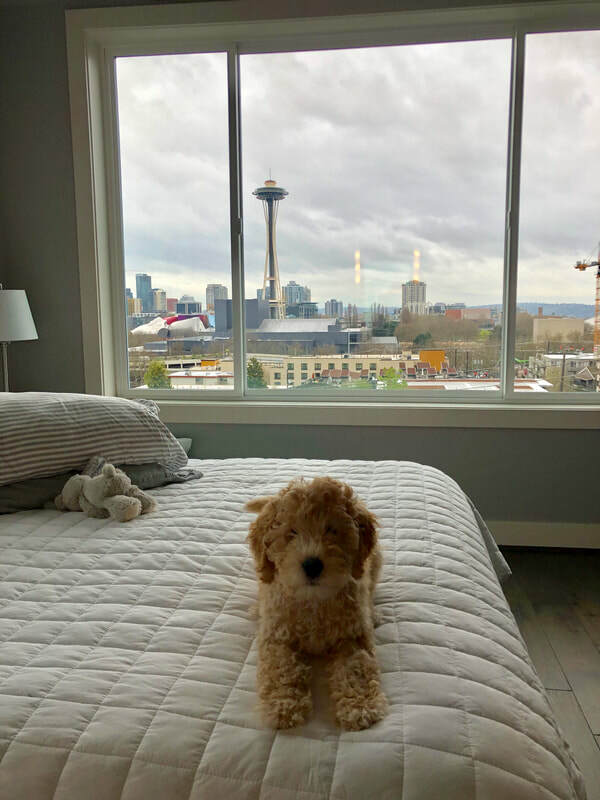 Cooper is one happy Annie's Doodles Australian Labradoodle living the good life in Seattle! 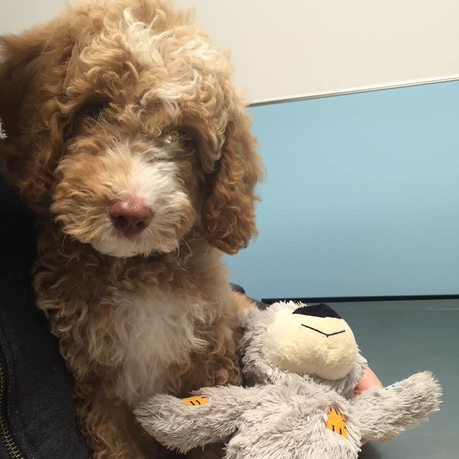 This video talks about the differences between Goldendoodles and Labradoodles! This video explains who we are at Annie's Doodles! Australian Labradoodles (ALD) are Family Friendly as you can see! Amazing eye contact is typical from our Australian Labradoodles and Goldendoodles! 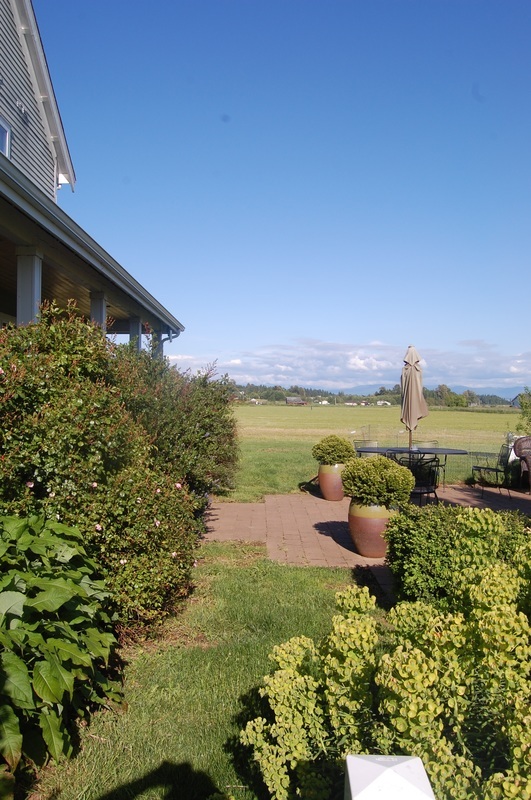 We are located just north of Seattle, Washington in a little farming community called Ferndale. Every morning we wake up to Mount Baker in our lap! We are blessed to live on 22 acres. 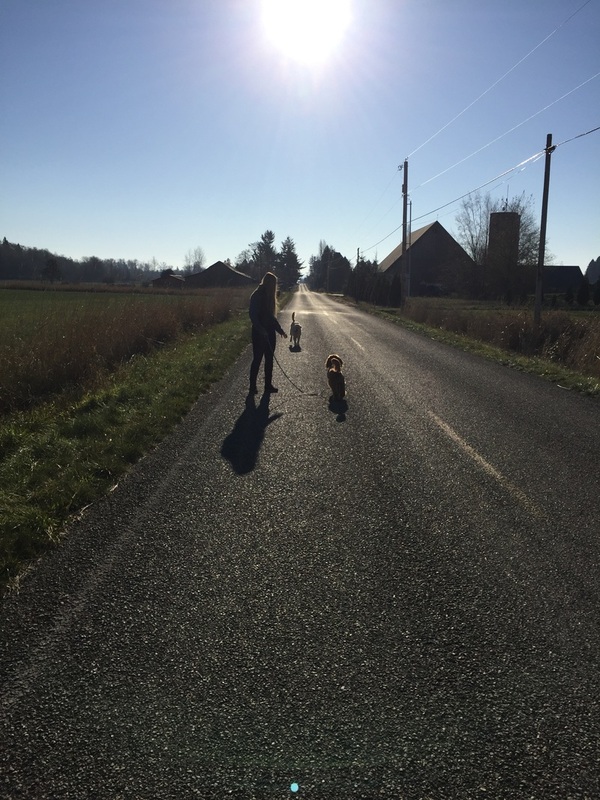 We moved from the big city to have a taste of the quiet, but of course with a handful of children and several dogs quiet is hard to find at times! 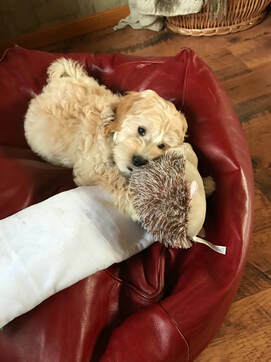 We are not a kennel, but a family dedicated to raising high quality Goldendoodles, and Australian Multi-gen Labradoodles. 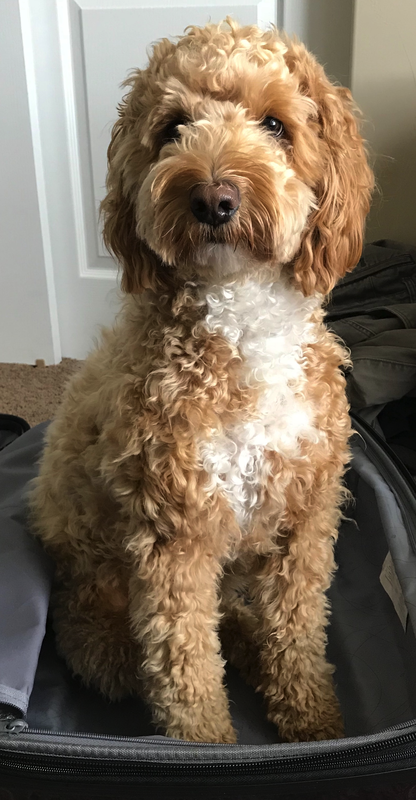 We think Doodles are a perfect family dog. Our dogs receive lots of love, and romp all day their play area, in our home, out in our field or in guardian homes. They are smart, spunky, fun-loving, loyal companions. Our dogs produces a wonderful light to non- shedding coat that is compatible with families who have mild allergies. 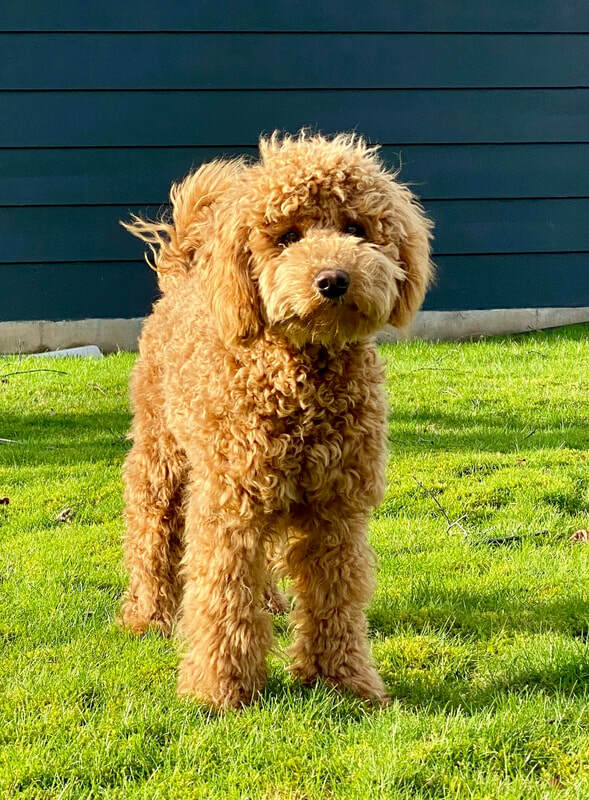 Annie's Doodles believes that only the highest quality dogs should be bred, therefore only dams and sires that are fully tested according to the Premium Breeder List standards are used. We love country life, but 95% of our clients come from the Seattle area! This Happy Couple From Seattle Found Just the Right Pup! They Named Her Poppy!